Psychological Dream Meaning: The psychologist Carl Jung believed that UFO’s are a symbol, akin to the reappearance of Christ, that represent hope in an age of technology. They take on an almost religious dimension as circular mandala symbols to represent the higher self. Jung wrote that the worldwide stories of the UFOs are ‘a symptom of a universally present psychic disposition’. The unconscious can manifest itself everywhere and crosses social divides. 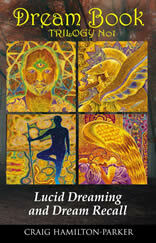 In dreams, UFO’s may represent your desire to find the true spiritual purpose of life and the wholeness of self. Psychological Dream Meaning: An ugly person appearing in a dream may represent an aspect of yourself that frightens or repulses you. You may have repressed or rejected feelings that may be beneficial to you psychological wholeness. Psychological Dream Meaning: An umbrella may be a symbol of protection. As rain can represent the release of emotional tension, an umbrella may illustrate that you are prepared for this outpouring of emotion. It could also represent financial protection and security. In the UK we say about bank loans: “the manager will only lend you an umbrella when the sun shines.” Perhaps your dream contains similar puns. 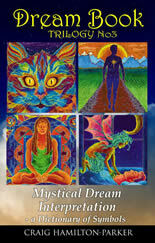 Psychological Dream Meaning: Underclothes may represent your hidden attitudes and prejudices. If you dream of feeling ashamed at being seen in your underwear, this may indicate an unwillingness to reveal your feelings or have your attitudes made public. What colour is your dream underwear? Red may reveal hidden passions, black dark thoughts and yellow a secret cowardice. If your underwear is dirty or torn it may show that you are not at ease with yourself or feel uncomfortable about your sexuality. Psychological Dream Meaning: The underground usually symbolises the unconscious. 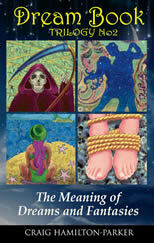 Things that are uncovered, dug up or emerge from the ground, represent qualities that are coming from the unconscious. If it is repressed material then these images frighten us and may appear as zombies, rats or monsters. If you dream of exploring caves or mines this may show how you are discovering the inner most recesses of the unconscious.